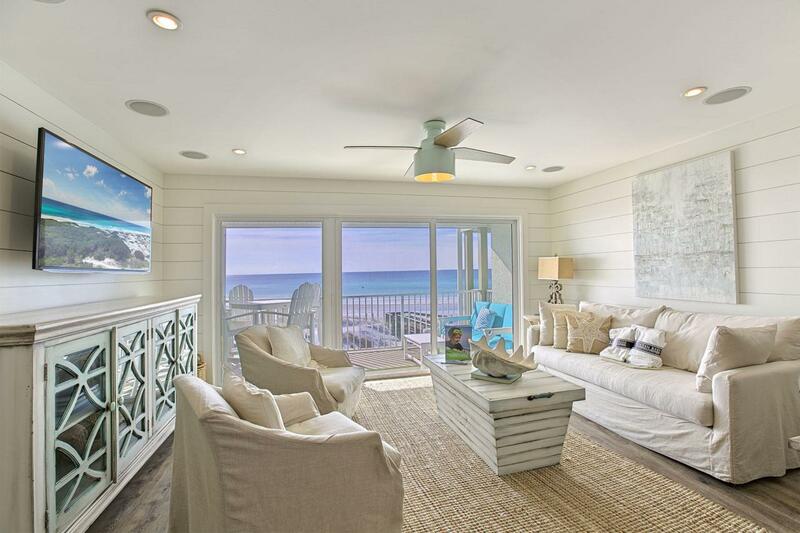 Recently renovated, beautiful GULF FRONT condo in the heart Seagrove. 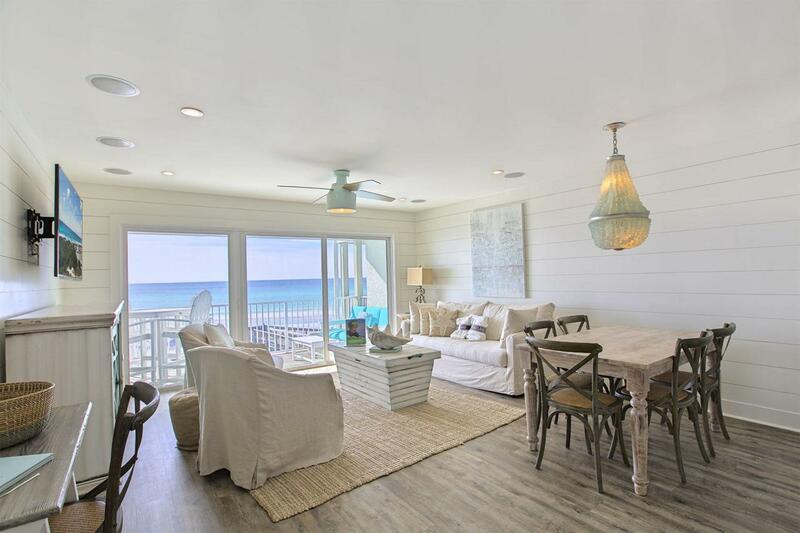 Enjoy incredible gulf views from this gorgeous one bedroom, one bath with built in hall bunks and a queen-sized sleeper sofa. Offered fully furnished this property would make a great investment or second home. The open concept living, dining and kitchen area open onto a spacious private deck all with panoramic views. The generous Master Bedroom opens into a lovely bathroom through a white-washed wood barn door. The renovation of this unit was done with great attention to detail, quality craftsmanship and beautiful finishes & furnishings. The unit also offers a full size washer & dryer. Commodore's Retreat, a small, 24-unit development in Seagrove Beach adjacent to Eastern Lake and a short bike ride to Seaside &......WaterColor. 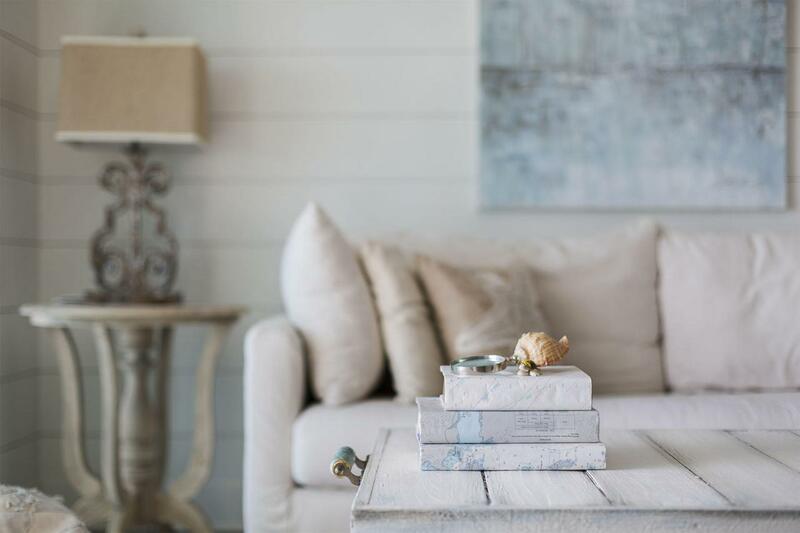 Amenities include a pool, private beach access, assigned covered parking space and private storage unit. 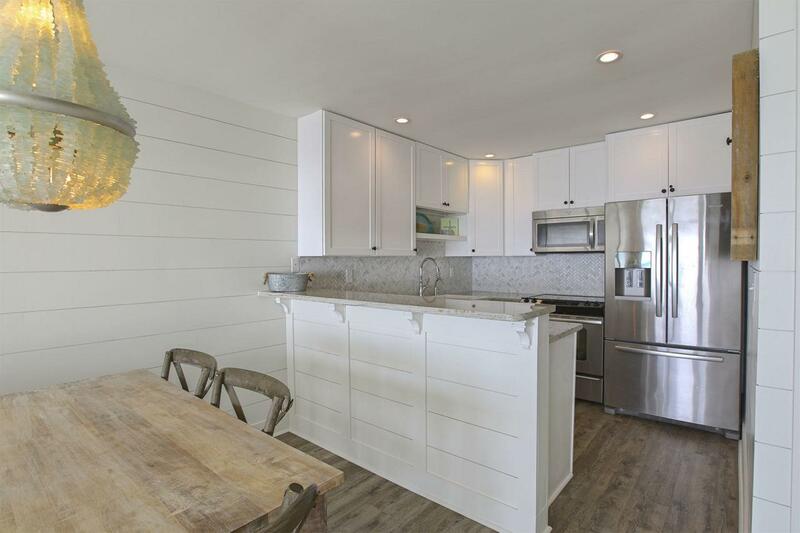 The exterior of Commodore's Retreat was completely renovated with new hurricane impact glass windows and doors, exterior stucco, HVAC compressors, railings, balconies and sprinkler system.